Dr. Werkö has an MSc in Business Administration, IBA, and a PhD from the University of Stockholm. 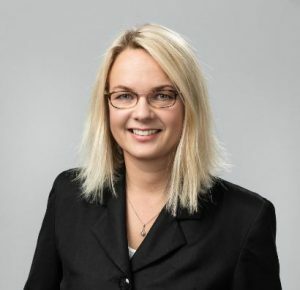 She has a longstanding engagement with HTA and held the role as Project Director at The Swedish Council on Health Technology Assessment (SBU) including project management, systematic literature reviews and health technology assessment reports. In 2012 she was appointed Manager of International Relations at SBU, responsible for coordinating SBU’s international work. Since 2010, Dr. Werkö has attended the annual meetings of INAHTA and is together with Dr. David Hailey chairing the working group on Impact. She is a member of the steering committee of the Health Technology Assessment International (HTAi) subgroup on Patient and Citizens Involvement since 2007. She is also the chair of the HTAi subgroup on Patient Issues: Methods and Impact Working Group which she set up in 2011 together with Dr Sophie Staniszewska and Dr. Javier Gracia San Roman and has managed the group since then. She has participated in The European network for Health Technology Assessment’s (EUnetHTA’s) Work Package 4 on the HTA Core Model (focusing on the core methodology of HTAs) since 2009 and she also had a seat in the EUnetHTA Executive Committee Joint Action 1. She has presented at many national and international conferences, with panel presentations at HTAi in Rio de Janeiro, Brazil (2011). She has several peer-reviewed publications in international and national journals and acts as a reviewer of manuscripts for several international journals. Sophie has been a member of the Board for the following terms: Director 2012-2014; Vice Chair 2014-2016 and 2016-2018.